With over 400 bikes and over 30 years experience we are used to dealing with large groups from school children and adventure groups to Hens, Stags and corporate events. Contact us via phone or email to discuss your requirements. School groups have visited Bridge Bike Hire for over 20 years and we have had some lovely letters back from the children. 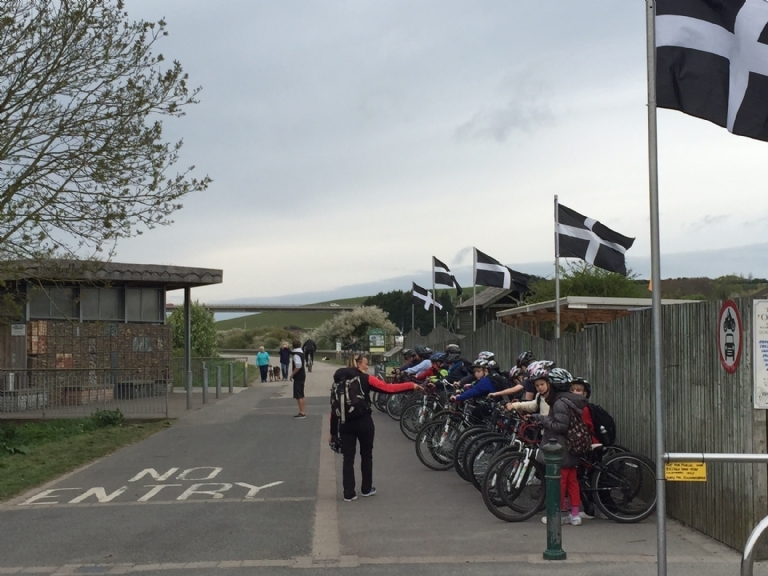 Cycling along the trail to Padstow or towards Bodmin is a special experience and a wonderful memory for children from local schools and those from further afield. 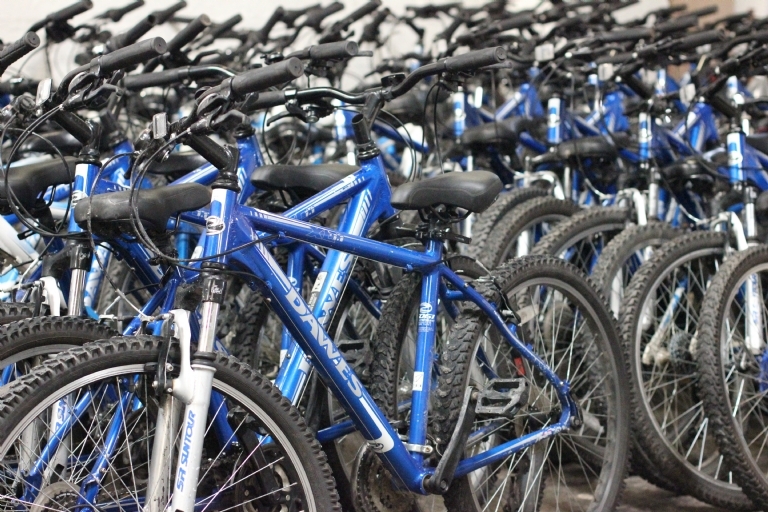 We have a special discount for all school bikes as we want as many schools as possible to enjoy the Camel Trail. Hen and Stag parties are both welcome and Bridge Bike Hire and the Camel Trail is a great way to get some fresh air into your fun weekend. 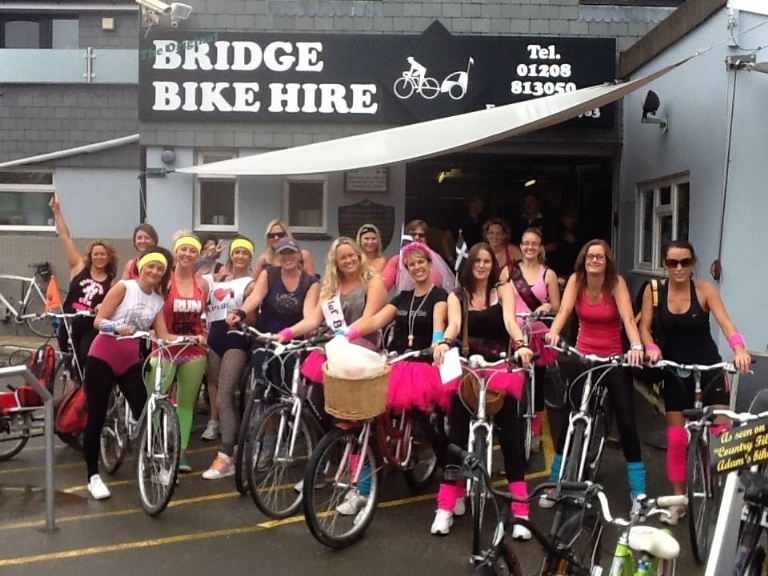 We'll happily accommodate you and your party and do our best to add to the atmosphere of your special day, not least with a customised Hen bike and a gift from Bridge Bike Hire to get the day off to a good start. Please make sure you book in advance and let us know if you have any special requirements!